2 gold medals, 1 bronze and 2 new world records! 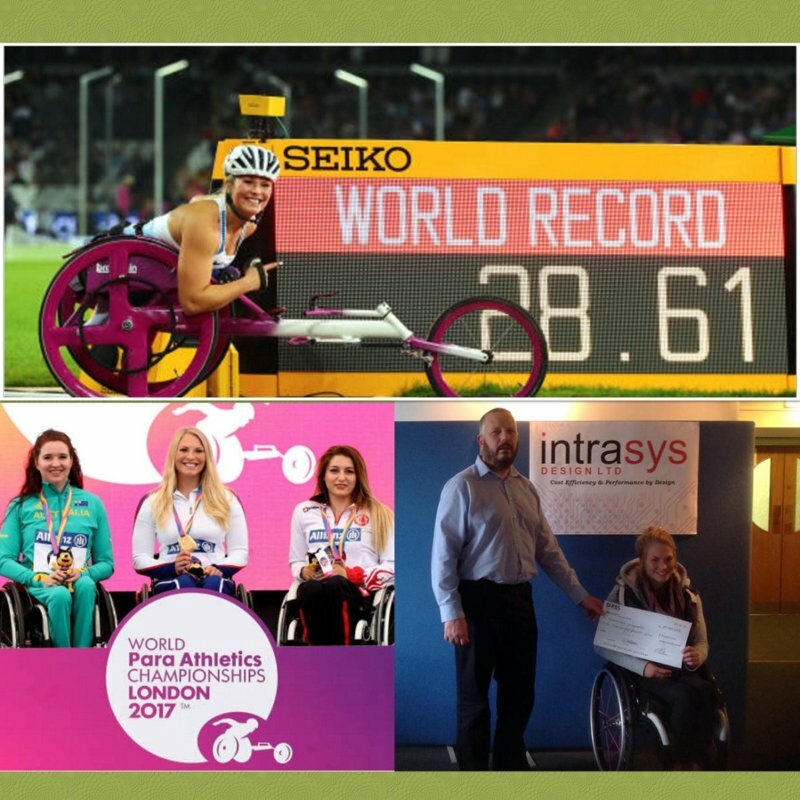 Congrats to our local para athlete Samantha Kinghorn, who won 2 gold medals and 1 bronze and made 2 new world records!!!! at the world para athletics in London. Intrasys Design Ltd sponsored Samantha a few years back to fund her training and competition costs.